Mommy and Daddy and I went to Pennsylvania. We went for a walk. 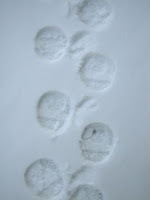 I can see everywhere I walked! We saw where deer walked, too. Daddy said to do this. I don't know why. Oh! I can see myself! Mommy says that I am her 'little angel'. 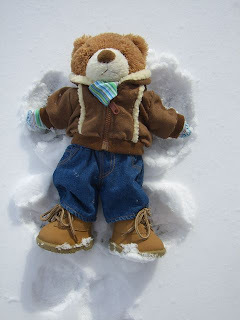 She says my ears are cute and I am the best-est snow-bear angel in the whole world! 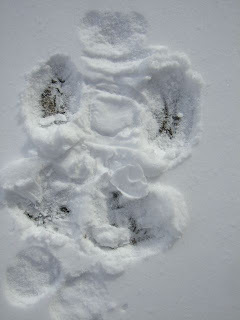 Wow Ryan, your snow angels are better than ours! 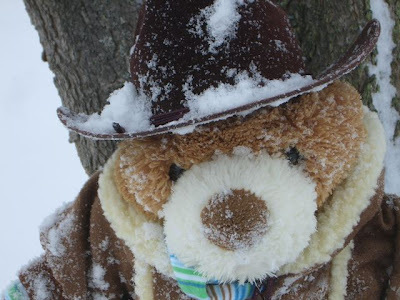 You must have had some extra beary fluffy snow!